The error message I kept seeing whenever I’d try to access my blog. Despite all my protests to the contrary, it would appear that I’m a spammer. How do I know? Well, the Bad Behaviour anti-spam plugin for WordPress (the software that powers my blog) told me so this evening. No matter what browser I used (Firefox, Opera, IE) I would still get the same error message, a “412 Precondition Failed”. Plan B: Spybot: Search & Destroy which updated and ran fine. Found some cookies that Ad-Aware SE had missed, too. But no joy, I still couldn’t connect to my blog. I then got thinking, and checked a couple of other WordPress-enabled sites on my server. Odd, I could connect to them. So why not my blog? And then it dawned on me. Perhaps I was being blocked, for some reason, by the Bad Behaviour anti-spam plugin. I fired up my FTP client (WS_FTP Professional 2006) and renamed the bad-behaviour folder and lo-and-behold! that fixed it. In extremely rare circumstances, Bad Behavior may block actual human visitors. Bad Behavior was designed to target robots, not people. If this happens, the profile presented by your browser matched that seen from actual malicious robots. In most cases, this is caused by over-aggressive personal firewall/browser privacy software. In some cases, this is caused by improperly configured Web proxy server software. I know that Bad Behaviour does its job. I’m quite relieved I’m not a spammer, after all. Imagine all the self-hatred I’d have to put up with, not to mention the boxes of viagra and Texas Hold ‘Em Poker (can you buy poker in boxes?) that I’d have to store at Potting Shed HQ! I’ve done some investigating, from the bad behaviour logs in my MySQL database and it appears that the problems first began with “Required header ‘Accept’ missing” HTTP error 403 at 18:25:42 this evening from a browser that identified itself as “Mozilla/4.0 (compatible; Synapse)” which according to this list is a bot. 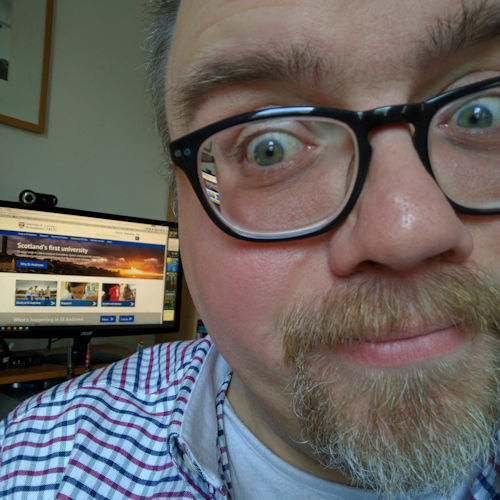 Now, this evening at about that time I was writing a review of Evrsoft’s First Page 2006, but as far as I can recall I didn’t try to connect to my blog through it. I can’t think of anything else that I used that it might be. Posted on Thursday 24 November 2005 Monday 25 June 2018 Categories ComputerTags Computer, WordPressLeave a comment on When anti-spam tools attack! first multiply the tens digit by the next whole number. To that product, affix the number 25. The number to affix (25) is easy to remember, because 5^2 = 25. Although a calculation such as 7.5 x 750 is technically not a square, it too can be solved using this technique. This trick will also work for numbers with more than two digits. Multiply the tens digit (1) by the next whole number (2): 1 x 2 = 2. Affix 25 to that answer: 225 (the answer). For each zero initially disregarded in a squaring problem two must eventually be affixed to obtain the product. Affird two zeros to the end: 202,500. Applying a test of reasonableness you can see that 65 x 5 would be 325, so x 6.5 must be between 325 and 650 (which is 65 x 10). So re-inserting the decimal point gives the answer: 422.5. How cool is that! Now, go buy the book! It’s only £6.96 at Amazon UK. 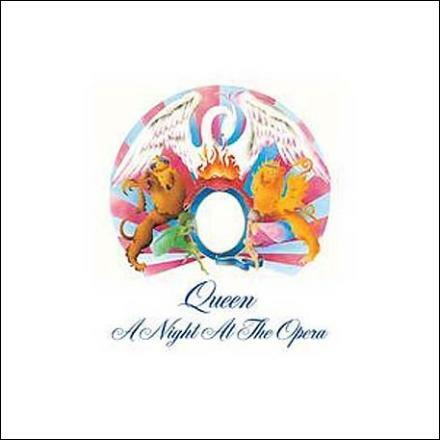 Classic cover designed by Freddie Mercury for the album “A Night At The Opera” featuring the zodiac signs for each of the band members: cancer, gemini, and two leos. It was redesigned for the band’s follow-up album “A Day At The Races”. Both albums were named after Marx Brothers’ films. Can you believe that it’s 30 years since Queen‘s classic album A Night at the Opera was released? The album that many regard as the definitive 1970s Queen album. To mark this event Queen have released the album as a special collector’s edition, in a remastered stereo format, and on DVD in DTS 5.1 Surround Sound. The DVD also includes a few videos, rare footage, on-screen lyrics and a commentary. Read about it on the Queen website and check out the online sampler. I have this album on LP (12″ 33rpm), cassette and CD. The only other albums I have on those three formats are Queen Live Magic and Metallica …And Justice For All; I have Big Country The Seer on LP and CD. This morning I optimized my computer’s BIOS thanks to this book: Breaking through the BIOS Barrier by Adrian Wong (Prentice Hall, August 2005) ISBN 0-13-145536-2. For those who don’t know, the BIOS is short for Basic Input/Output System. It sits between the computer hardware (motherboard, graphics card, soundcard, etc.) and the operating system (eg Windows XP, Linux, etc.) and allows one to communicate with the other. It is also responsible for the Power-On Startup Tests (POST) — sometimes also called the Power-On Diagnostic Test — and for controlling how the computer loads the operating system. You may have noticed when your PC is booting up that it invites you to press a key (usually Delete, or F1 or F2) to access Setup. This takes you to the built-in BIOS setup utility that allows a user to tweak the BIOS settings to optimize it for their particular system. I always knew that the BIOS was important, and getting the settings right was essential for a stable system, but exactly what each setting meant and what its optimum value was I wasn’t certain. This book has certainly helped me a great deal. Chapter 1 explains simply but thoroughly what the BIOS is, and how it relates to the hardware and operating system. It also talks you through how to find the latest BIOS update for your motherboard and how to update (flash) it. Chapter 2 is there for those moments when it all seems to have gone wrong and your PC won’t boot due to a wrong overclocking value or a corrupted BIOS. I’ve been there and it’s a scary place to be, but Adrian Wong’s explanations, and ‘hand-holding’ directions are reassuringly simple. If only I’d had this book when my system wouldn’t start! The rest of the book (chapters 3 and 4) follow an A-Z of BIOS settings (from ‘8-bit I/O Recovery Time’ to ‘Write Recovery Time’) — so, more an ‘8-W’ than an ‘A-Z’, I admit. Chapter 3 gives a Quick Review of each BIOS option, chapter 4 offers a detailed description of the same options. This is the book’s first weakness, I feel. I can see why the author has outlined the information this way, but I would have found the book much easier and quicker to use if the detailed information followed on immediately from the quick review. As it is there is a lot of flipping back and forth between sections, and an awful lot of repeated text. I’ve just finished optimizing my BIOS and I couldn’t have done it quick so quickly or knowledgeably without this book, but don’t expect to look up each and every setting without a little detective work. Not every BIOS uses the same name for each setting and so the A-Z (8-W!) organization is useful up to a point. Some settings in my BIOS began “IDE..” while in the book this is listed under “Onboard IDE..”. The index is very useful in this regard. While I realise that there are many kinds of BIOS and the author can’t list them all a few variations of the option names used would have been helpful. Some settings (particularly under the ‘Onboard SuperIO Device’ and ‘Power Management’ sections), however, I still can’t find in the book: External Cache, Sleep State, Video Off Method, etc. More detective work needed there maybe, or perhaps a new revision of the book. If you want to check out some of the content then visit Adrian Wong’s website: www.rojakpot.com. It’s not quite as thorough as the book — and not quite as accessibile while you’re rooting around in your PC’s BIOS. It was because of this website that I bought the book. All in all, this is a first class book that is let down a little, in my opinion, by separating the main content into two chapters where one would have sufficed. But if that is my only major criticism, and you are prepared to do a little detective work to match your BIOS options with those listed in the book then I cannot recommend this book highly enough. What I didn’t say in the review was that the full, up-to-date BIOS Optimization Guide (BOG) is available from Adrian Wong’s website in both a cut-down, free version and also in full, subscription-only version. It is also available to buy in PDF, which would make it very useful to carry around on a laptop or PDA.